Traditional Japanese style home. External bathroom and toilet. Good location in the historical area. The futons, duvets, and pillows were the most comfortable of our entire trip and we stayed at Marriott's and other nice hotels. I would not have guessed this. It was a nice surprise. The location was the absolute best. Right near Gion and next to 2 temples/shrines. It was quiet, too. The deep tub was the best after long days of walking. It was much more comfortable than you would think when you first get there. We loved staying in the traditional Japanese style accommodation in Kyoto. An excellent guesthouse which we enjoyed a lot - gives you a very authentic feeling. Besides, it is centrally located and close to many landmarks in Kyoto. Special thanks to Makiko and the whole team who were super helpful and responsive during the whole stay, including acceptance of our delayed luggage. Futon beds were extremely comfortable. The whole stay felt like a separate experience in Japan, thank you! Very well located, small but well equipped, with free bikes provided. Easy going, own peace, originality - very nice and workable for our family. Location was perfect. Lovely to make breakfast.. Fresco shop 400 m right from the corner. Washing machine at street in front of the house. Relaxed atmosphere & neighbours. Very nice ramen shop 10m from door. Very very nice and comfortable stay. It’s near to Gion and it’s a very quiet neighbourhood. There’s a ramen shop right outside of the house and multiple convenient stores nearby that operates round the clock. The owner even provided bicycles for us to travel around. 1. 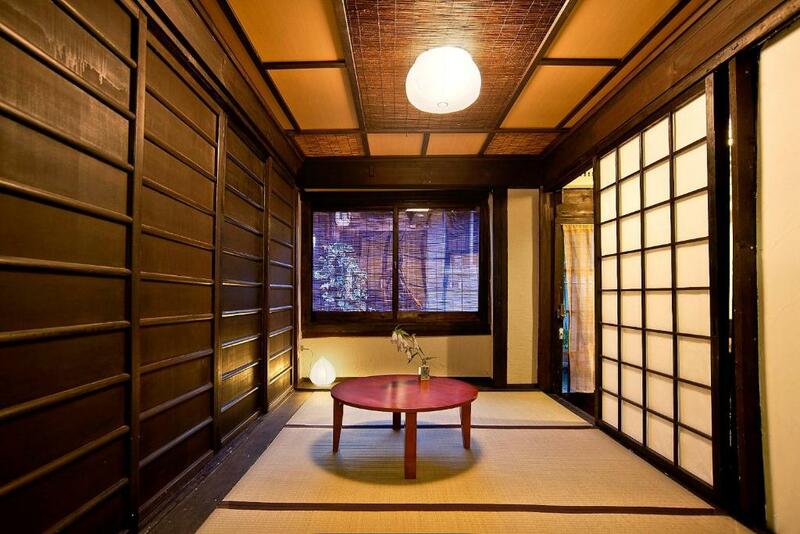 A very traditional Japanese tatami - definitely must give a try. 2. There are two heaters plus 1 a/c in the house, warm enough. 3. Close to everywhere - bus station and attractions. 4. You can cook in the house. 5. Very clean house. 6. Toilet and bathroom are separate. Lock in a great price for Guesthouse Setsugekka – rated 8.2 by recent guests! Guesthouse Setsugekka This rating is a reflection of how the property compares to the industry standard when it comes to price, facilities and services available. It's based on a self-evaluation by the property. Use this rating to help choose your stay! Guests at Guest house Setsugekka can privately rent out this renovated traditional townhouse as a whole. It’s centrally located in Kyoto, offering 2 Japanese-style rooms, a fully equipped kitchen and free Wi-Fi. It features a small inner garden. 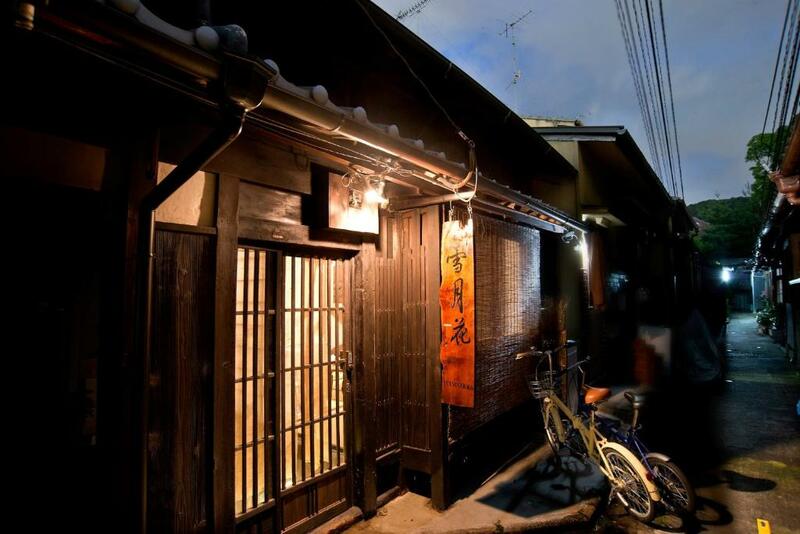 Located in a quiet Kyoto neighborhood, Setsugekka is a mere 3-minute walk from bus stop Yasaka Jinja. Yasaka Jinja Shrine is a 5-minute walk and Gion Shijyo Station is a 10-minute walk. 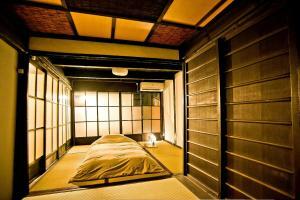 Rooms have a tatami (woven-straw) floor, on which Japanese futon bedding is spread to sleep in. The kitchen is furnished with appliances like an electric stove, a rice cooker and a microwave. Pans and dishes are provided. The property has a shower room with toiletries and an en suite toilet. 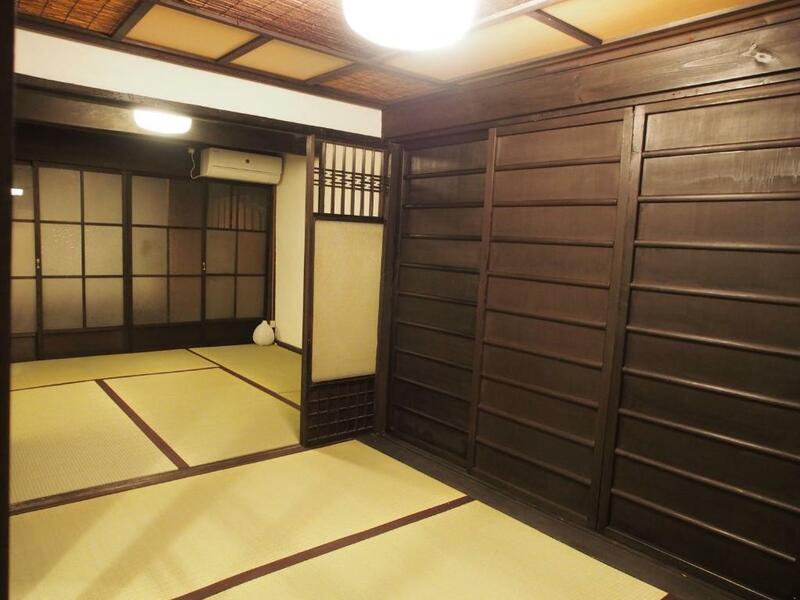 뀐 Located in the top-rated area in Kyoto, this property has an excellent location score of 9.0! 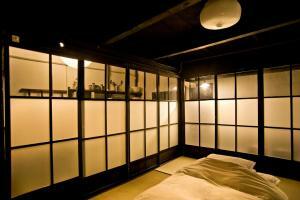 When would you like to stay at Guesthouse Setsugekka? Guests can rent out the whole townhouse privately. 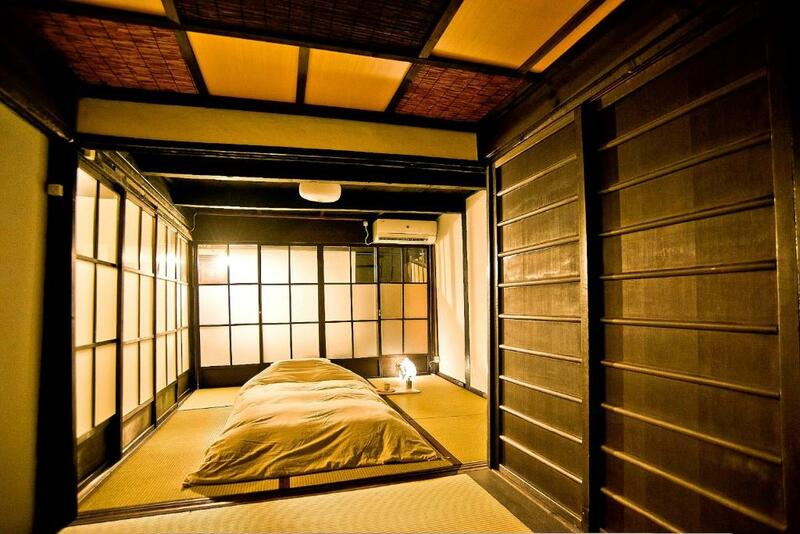 Bedrooms have a tatami (woven-straw) floor, on which traditional futon bedding is spread to sleep in. The house features a small inner garden, free Wi-Fi and a washing machine. The kitchen is furnished with appliances including an electric stove, a rice cooker and a microwave. 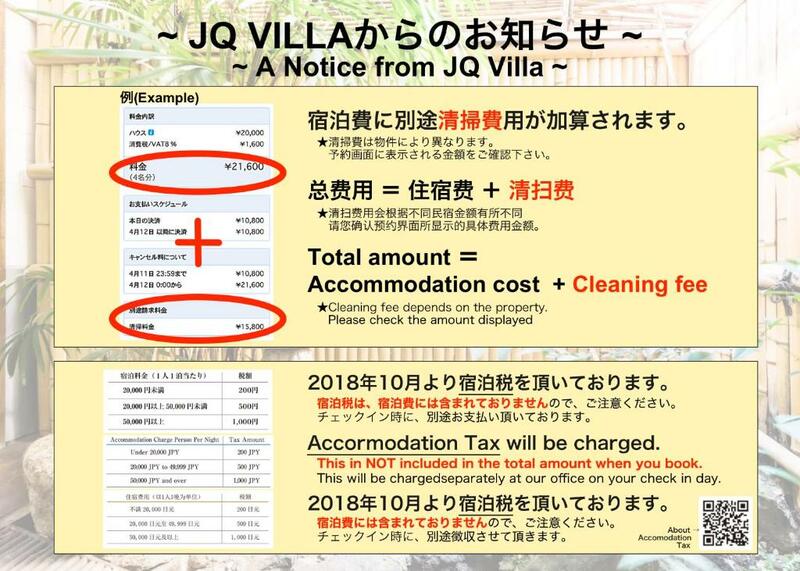 House Rules Guesthouse Setsugekka takes special requests – add in the next step! 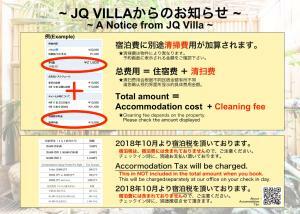 Guesthouse Setsugekka accepts these cards and reserves the right to temporarily hold an amount prior to arrival. A deposit via Square will be charged to secure your reservation after booking. Upon receiving the payment, the property will email check-in instructions and the security code for the apartment's lock. Guests should go directly to the property and use the security code to open the locker and enter. Please be informed that there are no staff on site. Please note that smoking is strictly prohibited in all areas on site. Please inform Guesthouse Setsugekka of your expected arrival time in advance. You can use the Special Requests box when booking, or contact the property directly using the contact details in your confirmation. There is a high level of audibility in the house, so there is not much privacy when you are travelling with others. 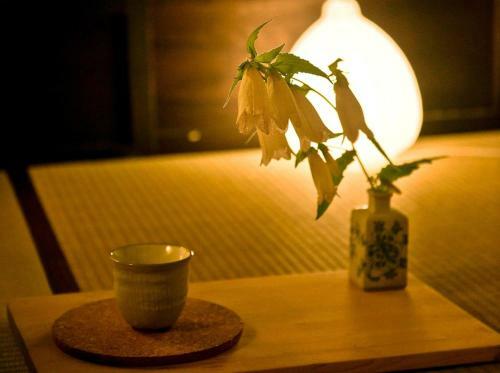 Besides, the next door is the tea ceremony place which calls for neighbours not to disturb and be quiet. We did not find it an issue, but this should be noted. Outside toilet and bathroom was a little difficult with kids. Fantastic location and if you want traditional then this is the place. Great to have a washing machine when traveling with a family. A bit cramped for 4 persons, ideal for 2. Kitchen would need some new tools (knife, pans), sink was dirty and water did not go through well. Minor problem. Not being able to open windows. Toilet and bathroom being outside. Quite a distance from the nearest subway station. You may need to reconsider if you are travelling with older folks who can’t walk very far. the room space is not large as picture displaying, but it is okay to me. Cool in winter on arrival, however, plenty of heaters available to make it comfortable. Size of guesthouse was great for a family of 4. Kitchen and bathroom a bonus. 1. It was a bit cold in the bathroom as there is no exhaust fan and heater. 2. In winter, some cold air may come in from under the floor, walls and windows , a bit chilly. 3. A bit expensive, but it shouldn't be a problem if it is shared by a group of friends. The best location for Kyoto, close to temples, shrines, subway, bus and the city. 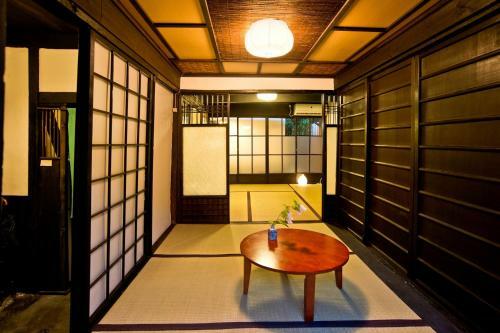 Authentic old-style Japanese house. Bathroom and toilet were new and good quality. Communication from the owner was very good too. The house was cold, but there were heaters and an air conditioner, and the owner warned us about it. The traditional beds were comfortable. Thank you. Floor boards creaky and water condensation in bathroom makes brown water droplets to basin/floor due to discoloration in bamboo ceiling. Location very close to central. - As it’s an old property, discomfort is kinda expected from a wooden building. It’s drafty and the room floor was slightly slanted. - the place is much smaller than it looks in pictures. If you have one cargo bag each, anything more than 2 paxs will be tight. - Location was perfect. - property was very responsive to queries. - even thought there’s no one on site to check you in, instructions given was very thorough. No chairs, it would be nice to have at least 2 chairs.